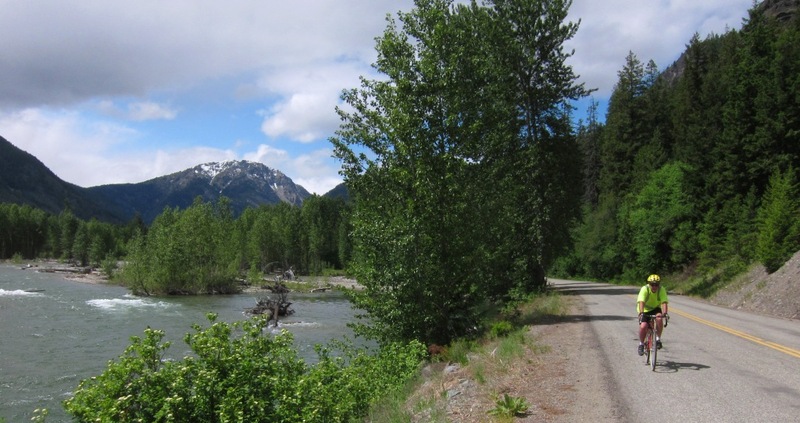 From the Methow Valley, Leavenworth, and Okanogan Country to the Yakima River, it’s mountains and rivers galore with USBR10 running east-west. 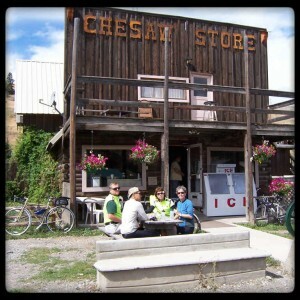 Bike travelers take a break in Chesaw. 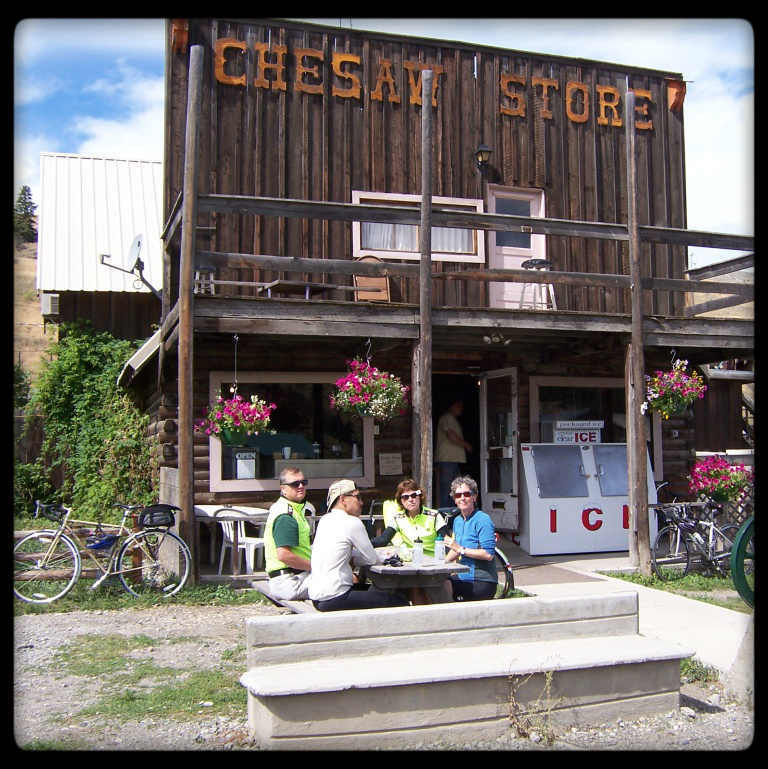 In our Washington state bike tour book: The Okanogan: Overlooked Northern Reaches. Towns: Tonasket, Loomis, Oroville, Chesaw, Curlew, Republic, Wauconda. Epic Washington: North Cascades Highway to the Methow Valley (traversing part of the proposed US Bicycle Route System 10). Towns: Mount Vernon, Concrete, Rockport, Marblemount, Mazama, Winthrop, Twisp, Carlton, Methow, Pateros, Chelan, Entiat, Wenatchee.